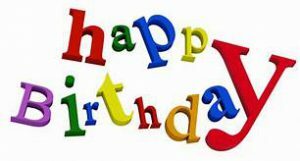 Warmest wishes for a Happy Birthday to Bob Spadoni, Carolyn Porterfield, Rick Long, L.D. Holland and Erich Koehler. We are so happy that you’re a part of our team! Happy Birthday and all the best to you in the year to come.